where we gather together to celebrate Dave's poetic talent and be part of his first book launch! We hope to see you at Dave Wilkes's book signing. Wednesday Dave is signing his first book in Birmingham and you are invited to support his vision and explore wonderful new titles and connect with very successful Authors. Experience book-passion to help NEW AUTHORS share their own story! The Author Club invites its members and their guests to gather for the afternoon and socialise, network or learn how to structure their next book with the end in mind. This is a unique opportunity to hear acclaimed authors discuss their latest heartfelt works within this exclusive gathering of brilliant minds. 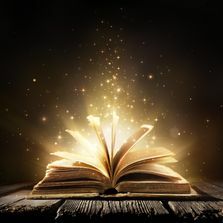 Tiptoeing on a tightrope past insider book industry may be cheap and clever, but don't let your book be your weakness, make it your strength- not knowing your rights as an author could be an expensive guess. Learn the difference between being traditionally published and self-published.